Hala Wardé, the architect commissioned to design the private, non-profit Beirut Museum of Art (BeMA), has been dismissed. The French-Lebanese architect, who played a key role in building Jean Nouvel’s Louvre Abu Dhabi, won an architectural competition to build the new space in 2016 but was ousted by the museum’s board on 11 September. On 19 November, in a lecture at the French Embassy in Beirut, Wardé briefly mentioned her dismissal, saying that “the unexpected and violent decision to stop this project, in spite of all attempts to renew the dialogue, and the support from the profession voiced by Jad Tabet, the chairman of the Architects’ Order. Unfortunately, no one seems to understand that the very first work of art in a museum is its architecture”. She also fears that the project organisers might choose “copycat models built elsewhere, like so many of the buildings that have invaded the city”. Much like Jean Nouvel, Wardé is an advocate of “contextualism” in architecture. For BeMa, she designed a multicultural hub, including a park, an amphitheatre and a library, a 120m “campanile” tower or lighthouse made of stacked 12m x 12m cubes in glazed bricks. Presented anonymously, the design submitted by her studio HW Architecture was chosen by a jury chaired by Peter Palumbo, ex-chairman of the Pritzker Price, and included Rem Koolhaas, Richard Rogers, Julia Peyton-Jones, Hans Ulrich Obrist (Zaha Hadid was on the jury until her death in 2015). Amale Andraos, the dean of the architecture department at New York’s Columbia University who is tipped as a possible replacement for Wardé, received a special mention. The museum was initiated in 2014 by Rita Nammour and Sandra Abou Nader, the directors of Apeal, a non-profit organisation that promotes Lebanese art. At first due to open in 2020, the museum stands on Damascus Road, or “Green Line”, a former dividing line of the Lebanese civil war. The land, which is currently being used as a car park and faces the city’s National Museum, was donated by the Jesuits from Saint Joseph University. The plan received public support after the Lebanese culture ministry agreed to lend its art collection. After Wardé’s appointment, Apeal raised more than $20m towards the overall budget, which had increased to $50m from an initial estimated amount of $35-45m. Difficulties began when the museum asked HW Architecture to work pro bono. Wardé agreed to provide her design and personal time for free, but insisted that production costs were covered, and that her collaborators and contributors were paid. To mediate, Tabet was called in by BeMA, reaching an agreement with the studio over a limited fee for the production team. But, in August, all ties were abruptly cut. Wardé received a message cancelling her project from Maher Mikati, the vice president of the board and the son of the former prime minister Najib Mikati. Wardé says she received no explanation and no reply when she suggested a meeting to discuss the matter. According to the museum’s board, the decision to dismiss Wardé was taken unanimously because of “irreconcilable differences that developed in spite of two years of negotiations”, which had halted the project. BeMA is now due to open in 2023. The board says that all jury members were informed of the change and a full explanation was given to Wardé, which she continues to deny. However, the board members declined to disclose the cause of the disagreement on the basis of a non-disclosure clause. The museum also wants to keep its estimated budget confidential, but confirms that $40m had been planned for the construction of Warde’s project in 2016. It is not expecting any difficulties with the funding that has already been raised, and plans to “stay in line with budgetary and fundraising goals towards the opening“. 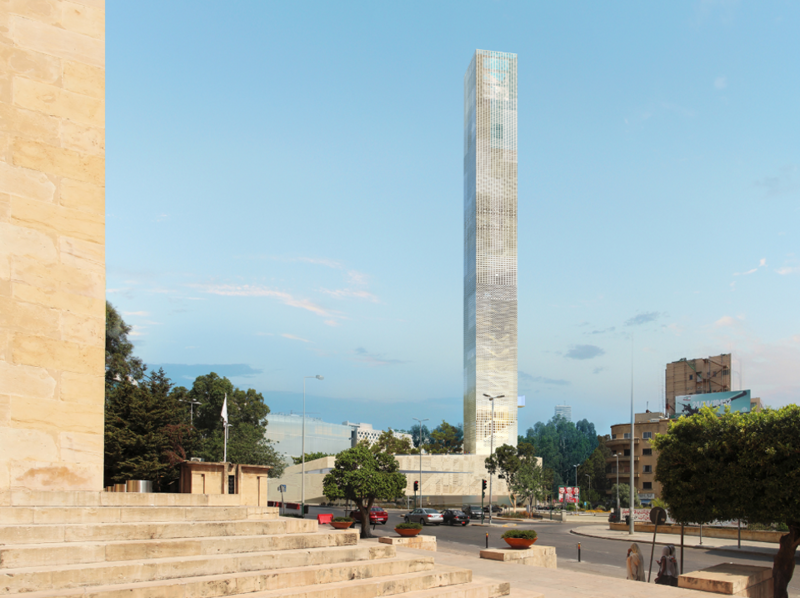 The museum says that, “although it will be built on a site owned by Beirut’s Université Saint-Joseph” and display the Culture Ministry’s contemporary collection, the initiative is “private and independent”. The collection on loan features around 2,300 artworks, by more than 400 Lebanese artists. The museum says that “much of it was stored for decades in challenging conditions and requires restoration, which BeMA has begun to provide”. The board insists that the future museum is still conceived as a "cultural hub highlighting art from Lebanon and the diaspora" as well as "hosting cultural and educational programs," which have already started. UPDATE: This article was updated on 28 November to include comment from the museum's board.